Now that Dexter is becoming more aware of his surroundings, we thought it would be a great idea to take him to another petting zoo type place. (We recently visited the petting zoo at Walton Hall gardens.) It’s so important to teach kids from a young age the importance of nature and how to be soft and gentle with living things. I remember going to Pili Palas Nature World myself as a youngster and absolutely loving it, so we decided to make the 80 mile trek over to Anglesey, thinking we could also drop in and see Dexter’s Great Grandma while we were there. I had always remembered Pili Palas Nature World as a butterfly house, but over the past twenty years it has extended and become so much more. It now houses a range of insects, reptiles, bugs and animals. It is located just outside of Menai Bridge on the isle of Anglesey and is easily accessible by car. Unfortunately the nearest bus stop is 1/4 mile away so it is not easy to get to by bus, although still possible if you wanted to brave the pavement-less main road by foot. Adult entry costs £8.25 (£7.95 during winter season); children aged 3+ cost £7.25 (£6.95 during winter season) and kids under 3 go free. At the moment, Pili Palas Nature World is only open at weekends until February half term when it will reopen everyday. At the moment if you visit, you can return another day for FREE (excluding school holidays). First of all we visited the butterfly house. There wasn’t an awful lot of butterflies due to the time of year, but this was to be expected. 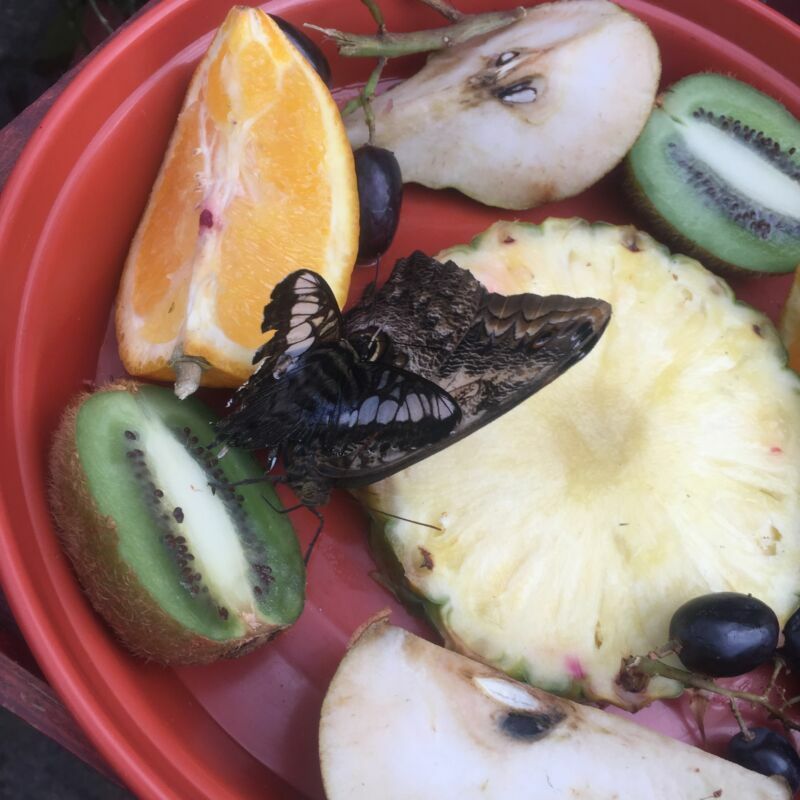 Most of the butterflies were feasting on fruit that had been left out for them so we were able to get close up and examine them. The butterfly house has an exotic temperature so bare this in mind if you are babywearing as I was. We then went to the soft play area, as we had had a long drive and needed to unwind for a while. 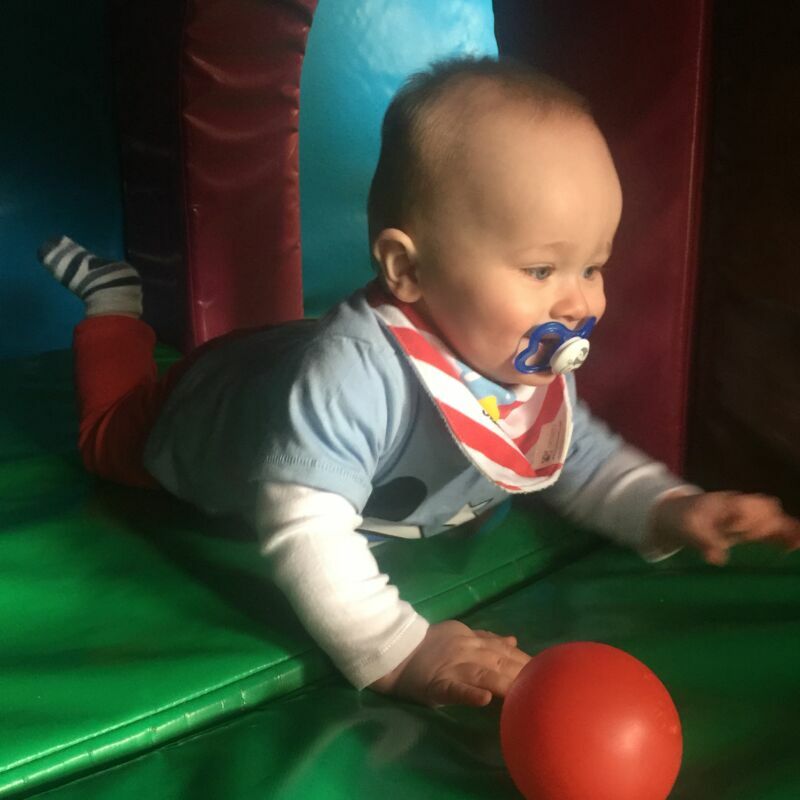 The soft play area is suitable for crawlers up to about 4 years of age. There is a little cafe alongside it with highchairs available. The soft play consists of lots of brightly coloured soft mats, tunnels, a ball pool and a slide. The kids absolutely loved running around it and Dexter had a good crawl around. He wasn’t too sure what to make of the ball pool, but the other little ones who were there were loving it. Daddy and I had a nice coffee in the cafe while Dex sat in a high chair to munch on some carrot sticks I had brought with us. The cafe serves a range of hot and cold drinks and hot food with free wifi also available. They accept card payments as long as your bill totals more than £5, great if you are rubbish at carrying cash like we are. After Dex had worn himself out from soft play, we had a wander around the bug house before venturing over to Pet’s Corner. Here, we got to see guinea pigs, rabbits, goats and two gorgeous pigs. You are allowed to pet the animals if you wish (we didn’t) and there are hand washing facilities available to clean up afterwards. We soon realised Dex needed a change so we used the on site baby changing facilities which were lovely and clean. 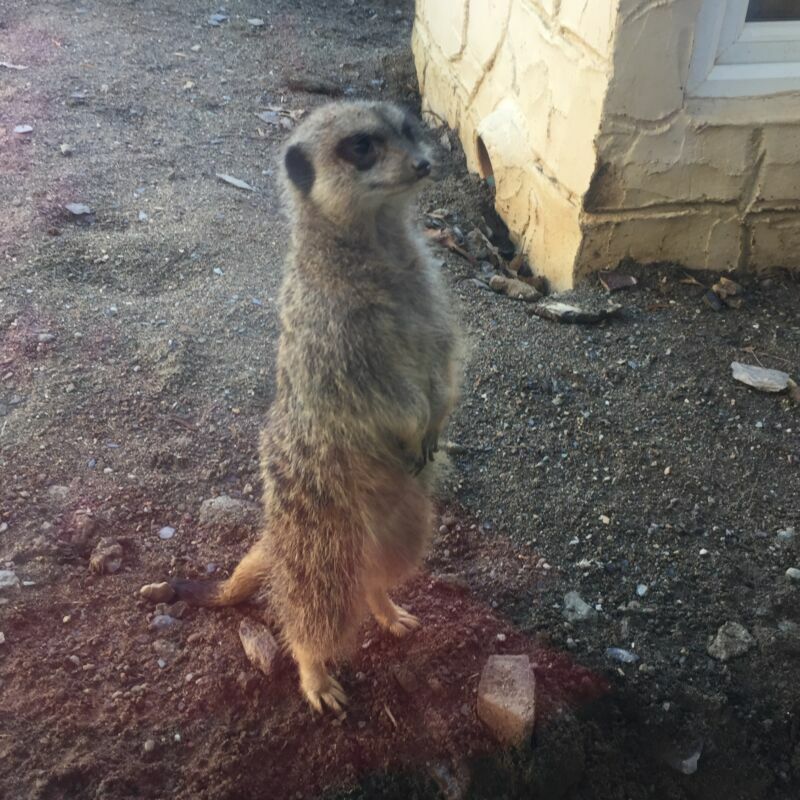 Just nearby are the meerkats. Pili Palas Nature World have three meerkats who are called John, Paul and George (sorry Ringo!). I absolutely adore meerkats and they loved coming over to look at us while one kept watch from the top of their tower. So, so cute! 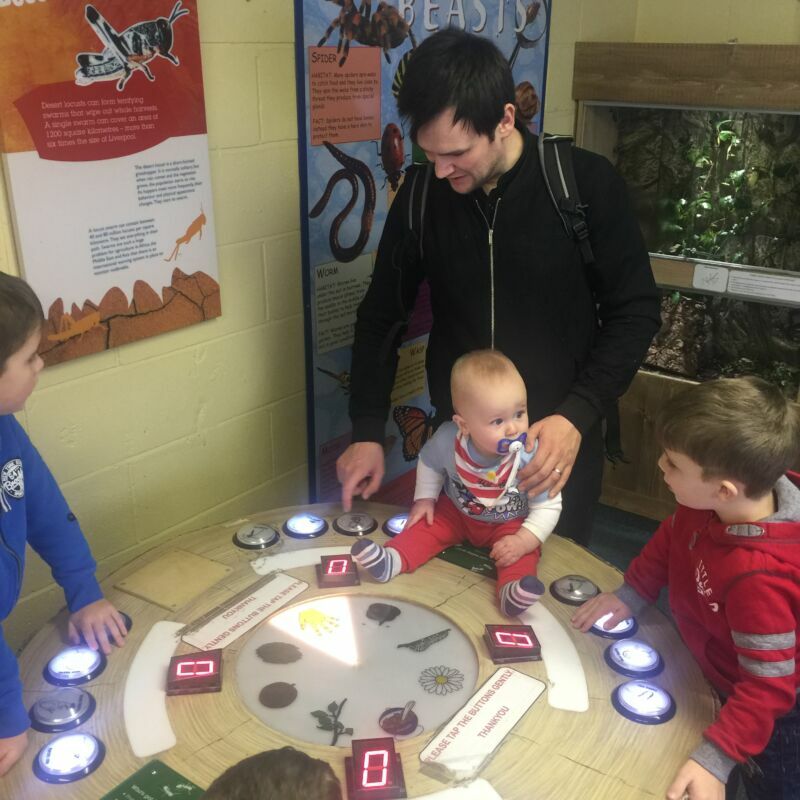 We had such a lovely day out in Pili Palas Nature World and can’t wait to take advantage of our free return visit. If you are in the area, I’d certainly recommend you drop in. 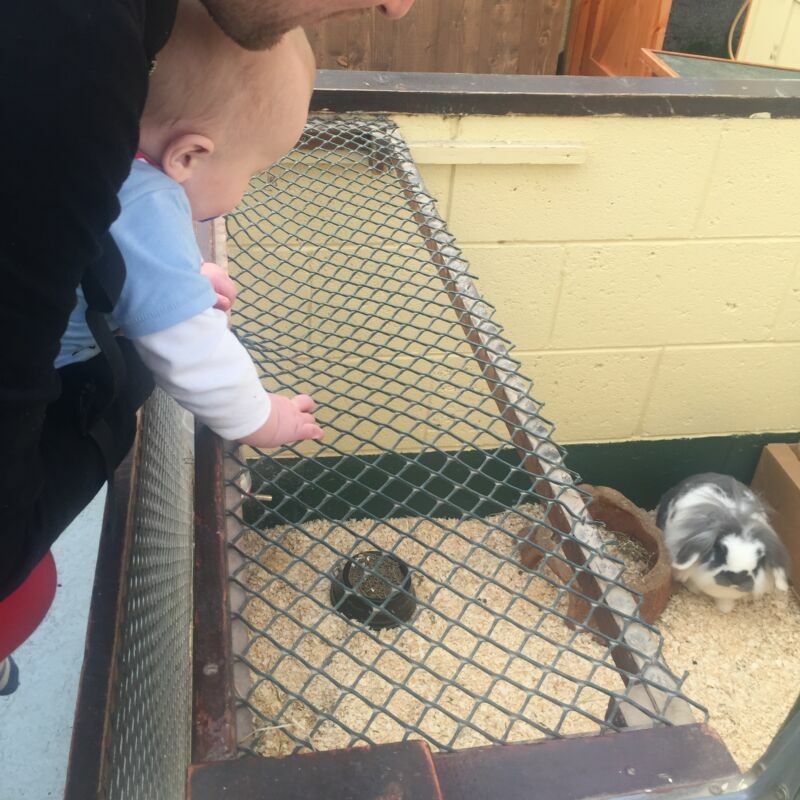 It’s a wonderful sight to watch your eight month old baby look at the animals and take it all in. Have you been to Pili Palas Nature World? What did you think? Looks like a proper family day out. I bet it was lovely to see Dex and the animals, it must be so mind-blowing for them at that age! Great review.